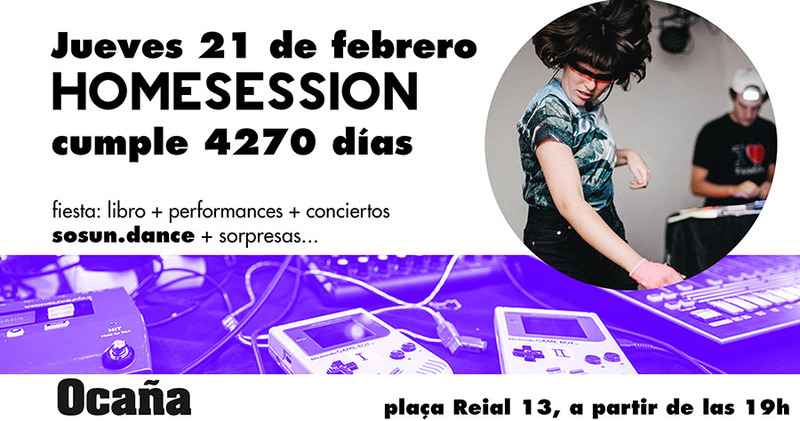 Homesession wants to celebrate its 4,270 days of activity * in Barcelona organizing a festive event in Ocaña accompanied by Sosun.dance (Estel Boada + Daniel Moreno Roldán) and other artists. It will be the occasion to give with friends, artists, curators, critics, cultural agents with whom we have collaborated during all this time and of course with all the followers of the project. * 11 years and 222 days.